Kakinuma is married to fellow seiyū Toshio Furukawa. 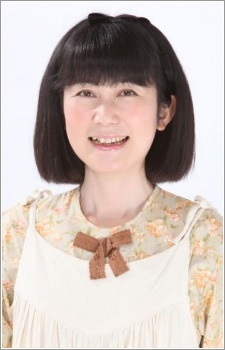 She voiced Videl in Dream 9 Toriko & One Piece & Dragon Ball Z Super Collaboration Special. We still don't know if even main Sailor girls will be voiced by original seiyuu in new Sailor Moon series. They will reveal it in a few days. Yep she's active as Videl meaning she will be back as Naru Osaka in Sailor Moon ! Good luck as Videl in new Dragon Ball Kai. naru chan i love you.